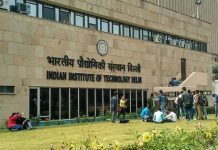 New Delhi: Aiming at creating Independent Access to Digital Content for the Visually Impaired (VI), IIT Delhi, KritiKal Solutions Pvt Ltd., Pheonix Medical Systems Pvt. Ltd. and Saksham Trust New Delhi, supported by the Wellcome Trust have developed DotBook, a feature-packed, ergonomic & affordable refreshable Braille display. The product will be manufactured, maintained and marketed by Kritikal Solutions, Noida while its key component, that is the 10-cell Refreshable Braille Cell modules, will be manufactured, maintained and marketed by Phoenix Medical Systems, Chennai. Addressing issues such as social Inclusion and creating equal opportunities in education & employment, the DotBook is sure to create a positive impact for the visually impaired community, where hassle-free, independent access to the digital world has emerged as a key factor in everyday living, education and work. The present day 40 cell Refreshable Braille Devices costs on an average USD 2500, making them expensive for users even in high-income countries while being completely unaffordable for those in other countries like India. DotBook is built on IIT Delhi’s patented Shape Memory Alloy Technology that helps bring this cost down by almost 60%, and thus helping make this solution accessible to the millions who were previously un-catered-to. This becomes very significant as low income countries contribute to over 90% of the world’s visually impaired population. Our vision with the DotBook has been to enable VI persons to compete and succeed independently in an office or educational environment and hence, the DotBook comes packed with all the applications & features that a VI User would need to independently carry out their tasks with ease. These features include Email, Calculator, Web Browser and comes with a QWERTY Keyboard. Further, it allows integration with 3rd party apps. This special, custom development is based on multiple user trials with many of the smallest needs and preferences being taken care of based on user feedback. A good example being that – the hand-rest has also been ergonomically designed, to enable long hours of use through the day (6-8 hour work shifts). Mr. Dipendra Manocha, Managing Director, Saksham Trust and President of the DAISY Forum of India, shared that “DotBook opens up Digital life to Braille users. It creates an eco-system that allows people who read and write in Braille, to communicate seamlessly with the rest of the world using normal print. It is so heartening to see the cost reduction that DotBook offers to this wonderful solution”. Initial work of development of Braille cells was supported by Department of Science & Technology (DST) under its TIDE programme. The major translational funding for taking the device from Proof of Concept (POC) to market ready product came from Wellcome Trust, UK. After a series of trials with different VI users across India, and subsequent advancements in the design, the DotBook is slated to be open for bookings starting March, 2019. Product deliveries would start later this year.